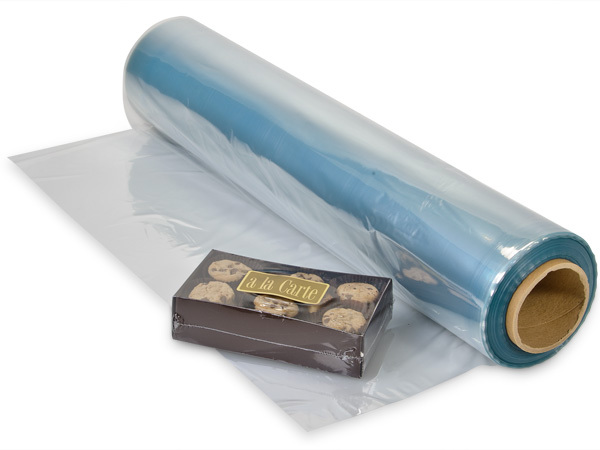 Tube shrink film allows you to make your own bags...fast and easy! No sealing equipment needed. Just cut the length you want, pull over basket, tape bottom, gather top with bow, and shrink with any hot air source. This crystal clear film is 100 gauge PVC and comes in many widths. It is packed in a dispenser box for easy storage. Low odor, high clarity, the best film available.